Who doesn't enjoy a good, homemade gift? No one! Homemade gifts are super awesome, especially when they're made with quality ingredients, have lots of uses, and smell really yummy. Here are a few ideas for homemade gifts for the people on your gift-giving list. Here's a list of some of the recipes I've found and enjoyed. Always remember that the outcome of the products will only be as good as the ingredients that you put in. Low-quality ingredients will yield low-quality results. All of the oils used at the DIY Workshop were purchased through Young Living. These oils are high-quality, therapeutic grade essential oil, and should be purchased through an authorized distributor. I almost always have a couple extra bottles on hand, so check with me if you want to buy. I have some of the oils we used in the workshop on-hand, and I'll share my discount with you! If you have some lead-time on your projects, Bulk Apothecary is an excellent source for ingredients and containers to make homemade gifts of just about any kind. Their Coconut Oil is some of the best I've ever seen, and very reasonably priced. An 8-pound tub contains approximately 32 cups of oil, and whips up beautifully. One pound of Shea Butter will give you a large container, and last a long time. Shipping is based on the box size, not weight, so it's advantageous to place a large order to keep your shipping cost down. Be sure to check out Retail Me Not for coupon codes. 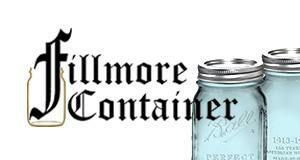 Again, some lead-time is required to purchase materials from Fillmore Container, but it's well-worth the wait. This online store, based out of Pensilvania, offers any shape and size container that you can dream of. Because you're not paying for "brand name" jars, the discount is HUGE. You'll have to purchase your closures separately, and indicate whether you want lids for processing (preserving foods), or just for storage (things like lotions and scrubs). Even with shipping (which can run higher than most other packages), the overall price of each container is still cheaper than buying Ball jars at your local store. If you need ingredients right away, Dale's Natural Foods in Flint has many of the items you may be searching for. The selection varies from day-to-day, and what's available is usually a pretty good representation of "Big Box" manufacturer and locally made products. Their friendly service department at the Apothecary will help you choose the ingredients that are right for your project, and offer you some information on other items that may be helpful. Another local business that offers many high-quality ingredients is the Green Earth Grocery in Davison. I've had mixed success with finding exactly what I'm looking for here, but the owner always has an alternative option. Many of the products offered are on pricey side, but you're paying for quality at this location. Pick and choose your investments. There is a large selection of Young Living Oils available on-site at the Green Earth Grocery, along with a huge selection of containers, rollers, and carrier oils. You'll pay a bit more than purchasing through a friend with a distributor discount, but the convenience of having what you need right away is sometimes worth the increase in price.